You may have noticed that I haven’t blogged in, oh … almost a year. Well, that’s because of two things. One, my husband took down my website and moved it to a new (easier and better) platform and parts of it had to be rebuilt and that was all just a tad overwhelming for me. And two, I’ve been writing. As in, books! And I have some exciting news on that front … but I will save that for next week’s post! Anyway … thank you for stopping by after all this time. This week, I have a treat for you. I am really excited to share three Swoon YA reads that are on my summer TBR (To Be Read) list. All three of these look fantastic – fantastic enough that the idea of posting about them motivated me to rebuild the site and hop back on my blogging horse. I can’t wait to check them out, and I hope you will, too! First of all … love the title. I want to know what the no-dating zone is and I really want to know what life is like there. Though I’m guessing from the cover image it doesn’t quite work out as planned, ahaha! 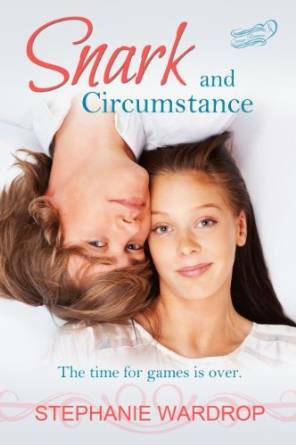 Also, the reviews on this book’s Goodreads page call it “adorable,” “fun,” “sweet,” and “goofy.” In other words, perfect for summer. Here is the official blurb: After surviving her parents’ relationship drama when her older sister elopes, Claire Gardner vows not to date during high school. Now, three years later, Claire is thrust into new relationship drama–her two best friends have boyfriends. Which means Claire is spending more and more time alone. And she’s more than a little peeved. A modern retelling of “The Frog Prince”? Yes, please. Also, I love me a good nerdy-girl goes popular goes nerdy again book. And also, one of its Goodreads reviews says this book is “like a piña colada on a hot summer day.” So, yeah. Sign me up. The blurb: Popular party girl and high school senior Jessica Scott has a secret: she used to be a nerd – a big one; a goody two-shoes, grade-skipping, all-state spelling bee champ. But she lost the braces, put on some contacts, and applied all her academic genius to studying and imitating the social elite. Now she rules the school from the upper echelon of the high school realm. With her cool new friends and hottest-guy-in-school boyfriend, life’s a beach – and that’s where she’s headed for Spring Break. That is, until her teacher breaks the bad news that she’s failing Biology – and her only chance to make up the grade is to throw away the culminating trip of her hard-earned popularity and join the Conservation Club in Panama to save the Golden Frog. 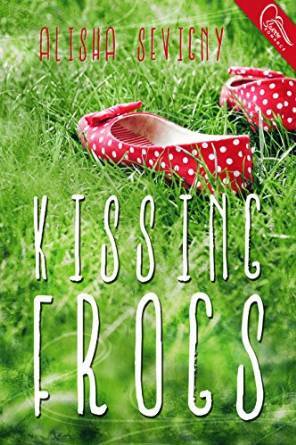 Set in the lush and tropical El Valle de Anton, this modern fairy tale re-imagining of “The Frog Prince” is toe-curling contemporary romance with an environmentalist heartbeat, in the tradition of Stephanie Perkins. This one is actually a novella, just 45 pages, and is the first in a series with equally fun Jane Austenesque titles. After all the sweetness of the two earlier books, I think I’ll be in the mood for some good old-fashioned teen snark! Fun premise … really looking forward to this one! Here’s the blurb: One superior smirk from Michael Endicott convinces sixteen-year-old Georgia Barrett that the Devil wears Polo. His family may have founded the postcard-perfect New England town they live in, but Georgia’s not impressed. Even if he is smart, good looking, and can return Georgia’s barbs as deftly as he returns serves on his family’s tennis courts. After all, if Michael actually thinks she refuses to participate in lab dissections just to mess with his grade, he’s a little too sure that he’s the center of the universe. Could there be more to Michael Endicott than smirks and sarcasm? If Georgia can cut the snark long enough, she just might find out.